Located near Hyderabad state, Badami is a small town and an archaeological wonder that grab attention and interest of travel freaks seeking tourist destination around the state to chill and refresh. 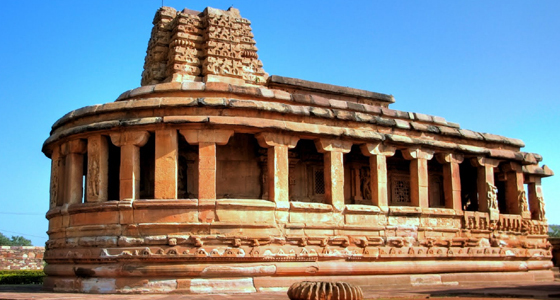 Right from the fascinating history to the beautiful sandstone caves and temples, Badami is worth exploring destination especially among history lovers. One can visit the Mahakoota temples complex, Hindu and Jain temples, Badami rock cut cave temples, Badami Fort and the stunning Malegitti Shivalaya temple situated on a top hill in Badami town. At Tour My India, we offer an appealing Hyderabad Badami weekend tour. Our tour is an ideal travel option for all those looking for new travel destination near Hyderabad for the upcoming weekend. Give us an opportunity to make your weekends more entertaining and thrilling. Drive to Badami in the morning. 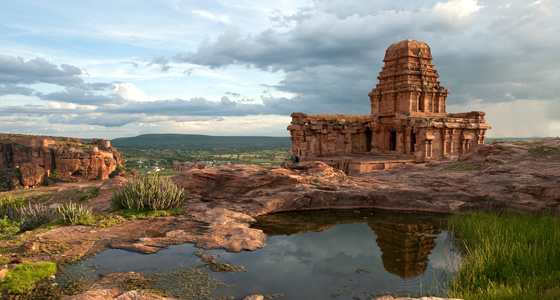 Situated in the Bagalkot district of Karnataka state of India, Badami was the capital of the Chalukya Dynasty and placed amidst two rugged sandstone outcrops. It lies near the 5th century Agastya Tirtha Lake- a holy lake acknowledged for curing property of its water. Transfer to the hotel on reaching Badami. Evening is free for leisure. An overnight stay at the hotel. After breakfast, we will leave the hotel for a full day excursion around Badami town. 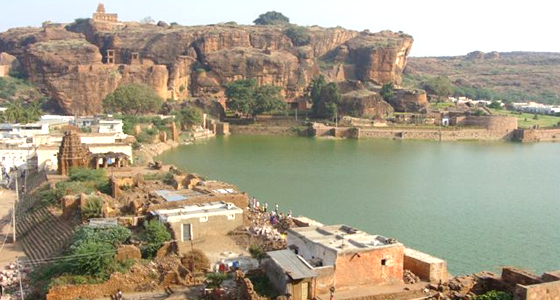 We will visit the Badami rock cut caves and Mahakoota temples. Badami also termed as Vatapi is rich with Jain and Hindu temples engraved out of sandstone hills. Date back to the 6th century, the carved temples are the major attraction of town. 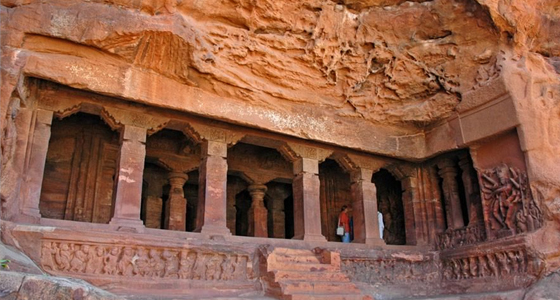 There are three Hindu and one Jain caves, which are carved out of the solid rock and decorated with carvings. Another attraction of the place is the fort located on the summit of a hill includes large treasury, granaries and a watch tower. Set on the top of a hill, the Malegitti Shivalaya temple set is built of stones without mortar. Leave for Hyderabad after breakfast. On arrival at Hyderabad, drop facility till your place.